Provide comfort for the family of Cathy Hill with a meaningful gesture of sympathy. Mrs. Cathy “Cat Cat” Butler Hill, 55, of Mauldin, South Carolina, departed this life on Sunday, March 3, 2019, at McCall Hospice House. She was a daughter of Bobby Butler, Margaret Smith Shumate and the late Edward Shumate. She was a graduate of South Carolina State College and was employed at Greenville Health System. She was a member of Long Branch Baptist Church. She was preceded in death by her grandparents, James and Walma Smith. Left to cherish many fond and loving memories are her daughter, Davia Mills of Greenville, SC; a son, Angelo Hill of Atlanta, GA; two sisters, Margaret Ann Butler and Delane (Billy) Singfield, both of Greenville, SC; one grandson, Denver Mills of Greenville, SC; two aunts, Elizabeth Brown and Sallie M. Smith, both of Greenville, SC; one uncle, James A. Smith of Greenville, SC; three godchildren, Demarcus Hill, Druvetta Smith and Henry Hill, Jr., all of Greenville, SC; and a host of other relatives and friends. I am so saddened to hear of Cathy’s passing. I remember her well from the years of working with her mom, Margaret. Sending prayers for strength through such a difficult and painful time. Thank you Dannette, God is taking care of our baby now. She is at peace. My sympathies to the family of Cathy Smith. I worked with Cathy’s mom in Labor & Delivery many years ago. Cathy would stop by on occasion to visit her mom and I got to know her that way. My thoughts and prayers go to the family and friends of Cathy. Thank you Cindy, we will miss her so much. I’m so glad she is no longer in pain. We will miss her so much. I’m still trying to cope and in the same breath I m accepting that Cathy was ready to go home to live with our Lord. These words of deepest sympathy are sent with the hope that, as time goes by, cherished memories will help bring you inner peace, and make your loved one seem still very close to you. May the memories, that mean the most to you, live forever in your heart, and may the sure hope of the resurrection (Isaiah 26:19; John 5:28,29; Acts 24:15) comfort and strengthen you as you await the fulfillment. Please remember “memories have no expiration dates” wishing your family comfort and peace at this difficult time. 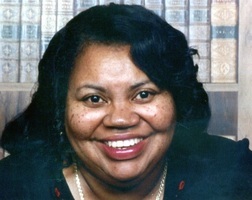 I am sorry for the loss of your loved one, Ms. Cathy Hill. Expressing my sincere condolences to the family. May the God of all comfort sustain your family from his word, the bible. 2 Corinthians 1:3,4. We are truly awaiting the fulfillment of the wonderful promise that our loving God has given us at John 5:28,29 to welcome our love ones back to life on earth in paradise by means of the resurrection hope under Gods kingdom. John 5:28,29- Matthew 6:9,10 . If your family would like to know more about this wonderful promise, please contact us at JW.ORG. Sorry for your loss and you'll have my Deepest Sympathy.Annette Lee. Praise God, Cristal. Thank you for your kindness and love. She is no longer in pain and there's no more suffering. She is rejoicing with the Lord.. Her beautiful smile and gentle touch will be missed. I miss that so much. She was a loving sister and woman of God. Thank you, Annette Lee for your kind words. It's always comforting knowing there's friends and family that still have God's love♥️ in our hearts. Be blessed.